Turbonomics Selected to Support Customer Azure Strategy & Roadmaps. Building on core Azure application migrations services, InCycle is pleased to announce a partnership with Turbonomics --- a leading intelligent workload management platform. 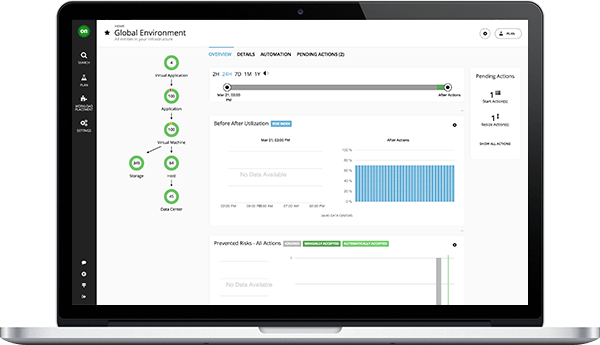 Installed on a network, Turbonomic manages devices and then performs analysis, anticipates risks to performance or efficiency, and recommends actions you can take to avoid problems before they occur. The Turbonomics partnership allows InCycle to develop Azure migration plans and include data from the "real" consumption of workloads. The result supports a migration strategy that accurately identifies and maps to cloud resources to match performance goals --- all at optimal cost. Building on InCycle’s strategic application modernization approach, the ability to understand application usage and identify opportunities to optimize and transform infrastructure is incredibly powerful. For our professional services team, Turbonomic provides a way for InCycle to surface valuable insights with our customers. By using Turbonomic it's easier for InCycle to plan customer migrations and get them to the cloud faster. Since 2002, InCycle has been providing challenging thought leadership to help customers successfully combine modern application designs, IT platforms and DevOps practices to achieve new levels of success. As a leader in app modernization, these blogs are written by our expert consultants and provide useful information to help on your journey to the cloud and better software. Happy reading! Contact us - it’s fast and easy! At InCycle, we believe there is always a better way. We give you power to create great software.